and the African American Art Song Alliance. Additionally, the Rachel Barton Pine Foundation Music by Black Composers project is creating, among other things, educational performance volumes of black composers’ music for young violinists, while the Hildegard Publishing Company provides scores by African-American composers for purchase online. Some performers working to promote African-American composers’ music include the Chicago Sinfonietta, the Chicago Symphony Orchestra African American Network, and the Colour of Music Festival. 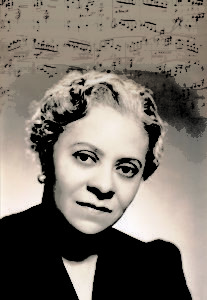 As a starting point, read about prominent African-American composers like Scott Joplin, George Walker and William Grant Still, as well as other composers of African descent, in this Guardian article, and read about contemporary African American composers in this WFMT blog post!